As persons and as a Church we have been challenged during the Year of Faith to reach deep within ourselves to truly know, understand, and live the reality that God is a Most Holy Trinity, that God chose to become incarnate so that we would know Him in the most intimate ways possible, and that the Church is both the temple of God and the natural home of man. The beauty of this year is that it has given each person, each parish, and each diocese another avenue for rediscovering the faith that is within, the faith that is practiced, and the faith that grows by exemplifying it evermore in the world. There is also a type of sobering austerity to a year like this and it comes in the form of an acute complexity that has not been overcome in 2,000 years. You see, the theological realities of Christianity mean that one cannot come to its conclusions by reason alone. 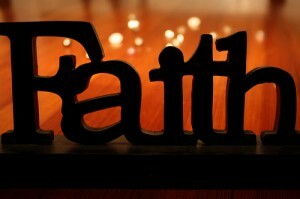 Simply put, the gift of faith is always necessary to having faith. Furthermore, while it is easy to feel a sense of pride and accomplishment for wanting to do more ‘for the faith’, we can never allow ourselves to get so wrapped up in human-centered programs about faith that we forget from whom and for whom faith exists. Again, it is God who gives us faith and God who teaches us how to be faithful. Now the tax collectors and sinners were all drawing near to hear him. And the Pharisees and the scribes murmured, saying, ‘This man receives sinners and eats with them.’ So he told them this parable: ‘What man of you, having a hundred sheep, if he has lost one of them, does not leave the ninety-nine in the wilderness, and go after the one which is lost, until he finds it? And when he has found it, he lays it on his shoulders, rejoicing. And when he comes home, he calls together his friends and his neighbors, saying to them, `Rejoice with me, for I have found my sheep which was lost.’ Just so, I tell you, there will be more joy in heaven over one sinner who repents than over ninety-nine righteous persons who need no repentance. Or what woman, having ten silver coins, if she loses one coin, does not light a lamp and sweep the house and seek diligently until she finds it? And when she has found it, she calls together her friends and neighbors, saying, `Rejoice with me, for I have found the coin which I had lost.’ Just so, I tell you, there is joy before the angels of God over one sinner who repents.’ (Luke 15:1-10). To take this one step further, an important point of these parables is to demonstrate that God is faithful to us specifically, even when we have gone astray. Thus, through the most holy example of Jesus, we are being taught what it means to have faith as well as what it means to live by faith. So as the Year of Faith slowly comes to a close, please ask yourself these questions going forward: do I better understand what faith is? Do I understand that God has been faithful to me? What response, in faith, will I give to God? Do I meditate on Sacred Scripture and participate in Sacred Tradition so that I may live this faith? Do I model my faith after Jesus? How about Mary and the saints? Am I too interested in many ‘programs’ of faith instead of actually being faithful? Let us pray for one another so that we may live our lives in the light of this kind of faith. Previous ArticleWhen the Vicar of Christ Imitates Christ, Why is it so Alarming?